Recently my cousin uncovered a photo, I had never seen before. When my Grandma Esther died, my Dad and his siblings divided up the family photos. My cousin is now investigating the ones in her Dad and Mom’s album. This photo actually had something written on the back of it. And I am the one with the story, because of my story. When I married, I never expected infertility. I was in love, we were healthy, there were no problems. So when decided to get pregnant, I was devastated when we seemed unable to have children. After the first year , I was sent on to a specialist and started on years of tests, surgeries and medical treatments. Throughout this all, I had one major supporter, my Grandma Esther. In her late 80s, Grandma was not one to let me give up. During a time when long distance phone calls cost extra before 11 pm, Grandma became my late night phone call. I lived in Kansas, so when my phone rang after 10 pm, I knew it was an East Coast call. If it was not my parents, it was Grandma Esther with advise! Her first calls were to tell me that she also had problems when she first tried to have children. She told me to stop stressing and go to the ocean. She and grandpa went to the ocean and she got pregnant with my uncle. Well, I could not go to the ocean from Kansas. But I felt the love. Over the next few years Grandma’s phone calls came with more involved medical advise. I could see in my mind’s eye, multitudes of grandmas sitting around and coming up with cures. Eventually I did have a healthy baby girl. My Grandma was so excited. At age 88, she flew to Kansas to be here for my daughter’s naming. Grandma’s advise did not end. Having nursed three infants, she was an expert. She announced one day that I was doing it all wrong. “If you are going to nurse, you need to do it the right way,” she said. With in minutes she had placed cushions and a footstool around me, and nursing became so much easier. I wish I could say that was the end of my struggles, but it was not. I was unable to have another pregnancy. But I was not done with motherhood. My husband and I turned to adoption. It was not easy. We had two strikes against us. One, we already had one child. Two, we were Jewish. Agencies in Kansas were basically religion based. We were told we could register, but when a better qualified (Christian) family came, we would be put to the back of the line. We tried private adoption. But two weeks before the baby was born, the mom changed her mind. Again difficult. Finally we found the Adam’s Center, a local agency that helped Jewish families. No longer in existence, it helped about three dozen families adopt babies. Not all were Jewish. We were one of the fortunate ones, and our son arrived. No worries. Dad arrived. I put the baby in his arms. My Dad looked up and said, “how could you not love that punim, that face.” And then he told me, “With each child and grandchild, you do not split the love you have. No your heart just gets bigger and bigger.” My parents had big hearts. Dad was still nervous about how his mother, my Grandma Esther, would react. As far as he knew, there had never been an adoption in the family. How little he knew. Grandma was now 92. She did not fly out, but she called. She was so happy and told me the story of her cousin, Messuganah Esther. She told me in the old days, early 1900s, people, who had no children, often adopted orphan children. Most of the time they were related. But sometimes, they were the children of friends. I must say that orphan sometimes just meant one parent had died. The photo is touching. It shows Chamka (Champy) holding Meshugganah Esther’s daughter, Lenore. And it tells part of the story on the back. Needless to say, when I brought my son back East for the first time, my Grandma Esther showered him with the same love she gave every great grandchild. 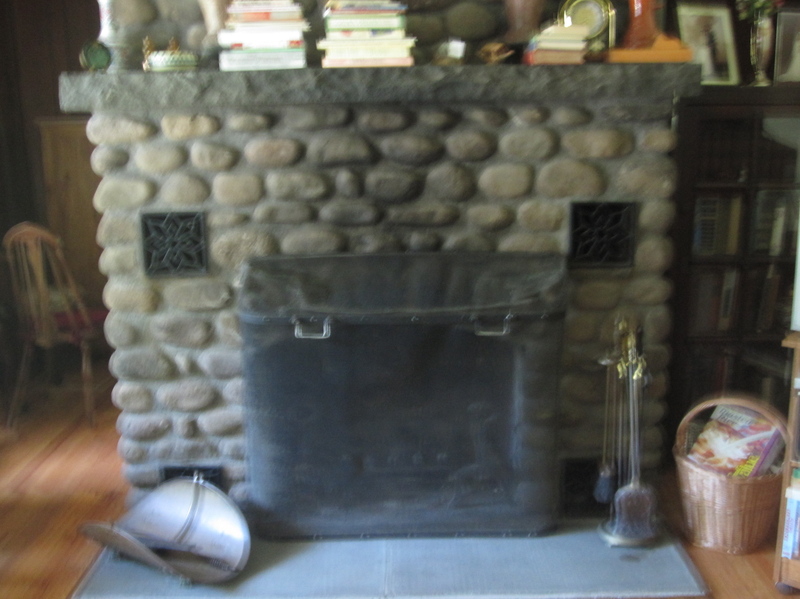 She had a handmade afghan waiting for him as she did for all 18 of her great grandchildren. Because in my family, with every child, grandchild and great grandchild, you do not divide your love, your heart only gets larger and able to hold more love. In 1936 my Grandma Thelma’s siblings sent her a Rosh Hashannah card from Poland. On the front is a photo of her siblings. Seated are her brother Isaac and his wife, Bronia. Standing are her youngest siblings David and Esther. Soon after this photo was taken the world really began to change. This photo looks so peaceful and calm. But so much was going on behind the scenes. Plans were already being made. Getting out of Poland was their main goal. My Grandmother worked diligently to get her family out of Europe. She and my grandfather owned a bakery and had two young children. 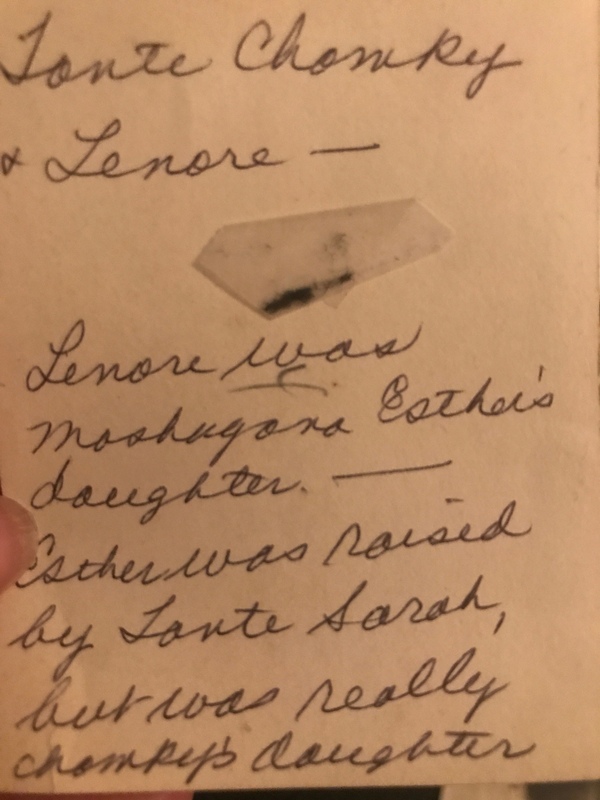 Grandma had taken her children to Europe in 1931 and since her return had been searching for ways to rescue her family and my grandfather’s family. It was very difficult. 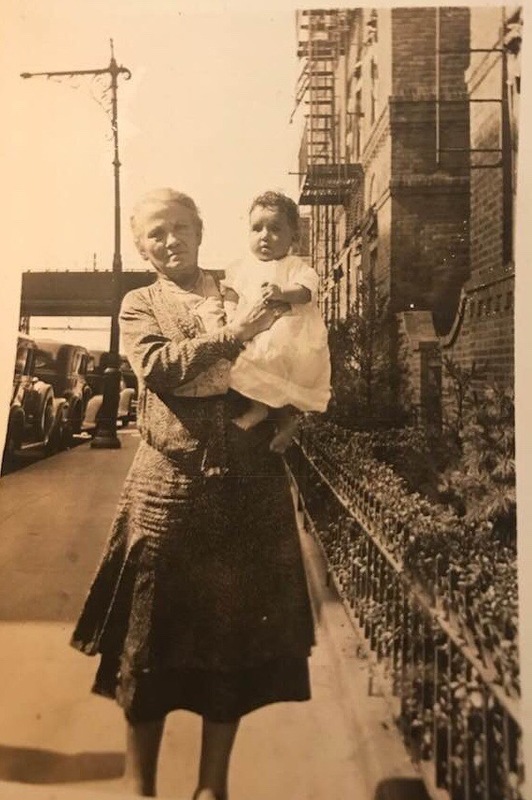 Eventually, she got documentation to bring my great grandfather Abraham (her mother had died young) and her younger sister, Esther, to the United States. Esther was older than 21, but she was very tiny. So they made her younger. And thus she was able to come with her father. The age difference was a bone of contention for years. My Tante always stating her ‘fake’ age, my grandmother always correcting her. It was made worse by the fact that my Grandmother had traveled by herself to the USA in 1922, when she was only 16. To get the papers she needed, she made herself two years older! The war over their ages went on for years. It was great until Tante wanted to retire. Truly she was 65, but legally she was 62. I remember this as my Grandmother and Tante would argue about this as well. Like sisters, with love, they found many things to argue about. In any case two were saved. I have my Great Grandfather’s passport and visa. In the passport it states that he has to leave Poland within a certain time or the visa is invalid. Luckily my grandparents also sent money. Saving family was utmost in my grandparents’ mind. But my Grandmother was unable to rescue her brothers and bring them to the USA. They decided that they had to leave Poland: Uncle Isaac and his wife, Bronia, along with David and Bronia’s sister, Rosa. The Rabbi said that David and Rosa must marry before they left Poland. So a quick wedding was held. They escaped Poland to Russia. Not as great, but they were tailors…or they became tailors. And so, my grandmother would say, they were employed to make army uniforms for the Russian army. Their lives were not easy. They suffered. But they survived. Many were not as fortunate. After the war they wanted to leave Europe. They were in Italy and the Facists were on the rise. They were afraid. They wrote to their sisters in the United States, and to Bronia and Rosa’s sisters in Australia. They decided whoever sent documents first , they would go to that country. They just wanted out of Europe as quickly as possible. Once again they were among the fortunate ones with sisters on two continents working to save their siblings. The sisters in Australia got documents first. My great aunts and uncles moved to Australia. There my cousin was born. There my Uncle David passed away when in was in his 30s. He is buried in Melbourne. When my cousin was a child, they decided to move to Israel. My Great Uncle and his wife; his sister in-law, and niece. My cousin and her family still live in Israel. My grandparents, great aunts and uncles have all passed away. But when I look at this Rosh Hashannah card, I see hope. I wish everyone a blessed, happy, healthy and sweet new year. 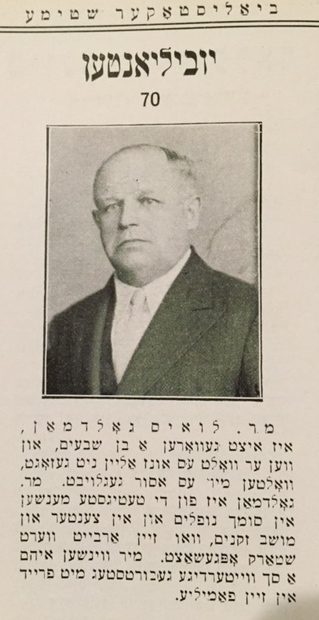 A photo of my great grandfather, Louis Goldman, and the article about him. I knew my great grandfather, Louis Goldman, had a good heart. His Hebrew name, Baruch Lev, ‘blessed heart,’ echoed his kindness. 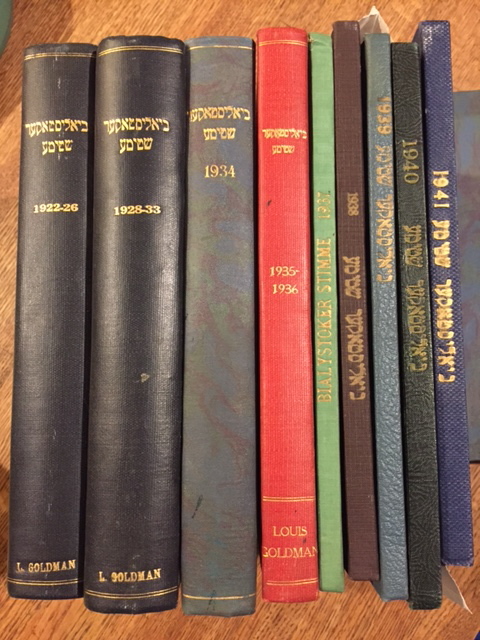 Now thanks to the books I found in the Catskills’ bookcase, I know even more of what a “mensch” and a “guttah neshumah” he was to many people. I found two larger articles about my great grandfather in the bound Bialystoker Stimme magazines I found last summer. And finally, I was able to meet with my friend, Blumah, who translated these articles for me. What a blessing and what a joy! This blog is about one of the articles. The article from 1938 honors him on the 50th anniversary of his arrival in America. So I now know that he arrived in 1888, when he was a teen. I already knew he married my great grandmother in January 1894. “It is already 50 years that Goldman is an American, and he still looks like a young man. He remembers things as if he had just yesterday came off the ship. He is like a walking encyclopedia, He knows things as if they are ‘in his vest pocket.’ In general he knows many people. In addition to bringing in friends whom he strongly interested in this project (Home for the Aged), his beloved institution, he also brought in his wife, children and grandchildren to be involved. With out a doubt, the children and grandchildren honor their father/ grandfather. If these children do not outshine him, they will put out less effort. They will not do less than what you expect a human being to achieve. Few fathers and grandfathers have the merit to have such an influence on their families. Especially in our world . We are proud of the true, great honor of Louis Goldman! WOW! My heart was so filled with love and joy as Blumah read and translated for me. Some of the words I could understand with my limited Yiddish. But the overall sentiment was so loving. It made me proud to be his great granddaughter. My Great Grandfather’s legacy continues into the next generations. 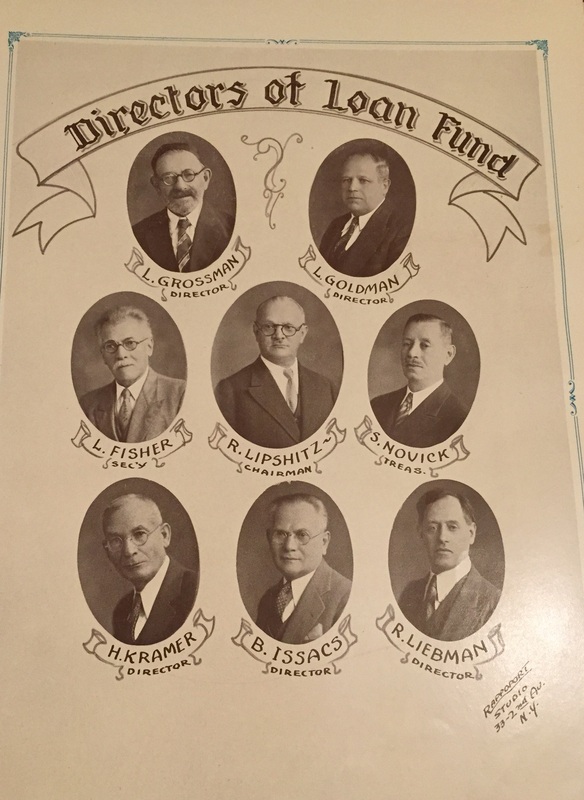 My Dad was president of his synagogue for 11 years and remained on the board until his death. 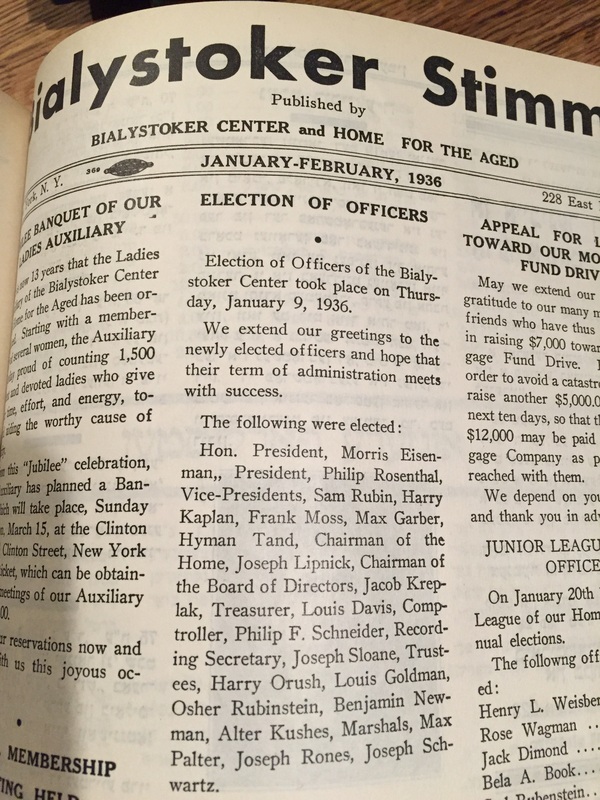 My parents and grandparents and aunts and uncles would go to the Bialystoker Home for the Aged benefit dinners each year. I continue work for the Jewish community as a board member of our synagogue, and many other Jewish and secular organizations. My daughter works for the Peres Center for Peace in Yaffo, Israel. I think my great grandfather, her great, great grandfather would kvell with naches. But it is not just my immediate family that continues in this tradition. My siblings, my cousins and their children also live a life of gemalut chasidim, doing good works. I believe that our ancestor, Louis Goldman would be proud of us as we are of his good works. The gene to do good, to be agents of tzedakah, is strong in our family. It is our Force. And I am so proud to be descendant from this man, Baruch Lev. Louis of the blessed heart. Mensch, good person; Guttah Neshuman, A good soul; Kvell, bursting with pride; Naches, proud enjoyment; Gemalut chasidm, doing good works.